Regardless of how we’ve been treated by others or how we’ve treated them; regardless of what we think of others’ views or what they think of ours; and irrespective of the many other modes of repentance we must each engage in now, let us each take a few minutes to simply bless everyone we know once, twice and again, in advance of the new year. The Rebbe, Rabbi Menachem M. Schneerson, of righteous memory, taught about the transformative effect the simple act of blessing one another has on our interpersonal relations, and on the entire universe. Our heartfelt blessings to each other have the power to elicit from G-d His deepest blessings to each of us individually, to all of us as one, and to the entirety of our universe. As Maimonides writes, one good deed has the potential to tip the balance of the entire world in the favor of merit and goodness! Boy, could our world use this positive energy now. Let’s forge ahead and bring great blessing! We would be remiss if we didn’t elaborate on another very poignant form of blessing, the one elicited by the holy act of charity. Giving our hard-earned funds to help others – in a sense giving our very selves to the other! – brings immense blessing into our own lives and the lives of our loved ones, and helps saturate the entire world with goodness and blessing. Blessings and charity. A blessed mix, indeed. As we approach the High Holidays, please consider remembering Chabad.ORG in your will. Your partnership has been key in developing the world’s most vibrant and effective Jewish website, helping millions discover the wisdom and life-tools of G-d’s Torah and mitzvot. Your legacy gift to Chabad.ORG will ensure quality Jewish education for generations to come. We would be happy to work with you, your family, and/or your financial adviser to develop the most personalized strategy for your goals. Please contact us for more information. P.S. – For all your Rosh Hashanah needs be sure to click here. P.P.S. – To contribute to Chabad’s Hurricane Relief Fund, click here. PLEASE NOTE: In observance of the holy Shabbat, the Chabad.org donation page is disabled from Friday, September 15, 6:45 PM EST through Saturday, 7:45 PM EST. Welcome to Shmais News Service. Chief Rabbi of the British Commonwealth, Rabbi Jonathan Sacks, tells how the Rebbe’s guidance affected him at three critical junctures in his life. Rabbi Sacks suggests that we can all live the Rebbe’s vision by a) increasing in love for all Jews, b) empowering individuals to discover their true potential, and c) sharing our Jewish commitment and observance with others. Beis Moshiach Magazine – Recent Articles – WHAT YUD-ALEF NISSAN MEANS TO A CHASSID. It is not for naught that the HaYom Yom of Yud-Alef Nissan is about making a cheshbon ha’nefesh, about rectifying those areas in our life that need to be rectified. For in order to feel and to identify with what Yud-Alef Nissan is all about, “Ich vill mer nit az dich alein” – all we need to do is to ensure that our own reception is static-free. by Chaviva Galatz – Washington D.C.
For most Jewish tween girls, the concept of the bat mitzvah has come to mean one thing: a lavish party with multiple outfit changes, Oscars-style celebrity goodie bags and a hip rocker singing new hits. But Beth Heifetz, a Washington D.C. mother of two and a partner at Jones Day law firm, wanted more than schwag and partying for her daughter, Julia. “I wanted my daughter to have an opportunity to think about what it means to be abat mitzvah and what it means to be a young Jewish woman today,” said Heifetz. So four years ago, when she was approaching bat mitzvah, Beth took to the internet searching for resources to share with Julia. Thankfully, she said, she stumbled across Bat Mitzvah Clubs International. She contacted the local Chabad and representative Nechama Shemtov and Heifetz worked to put together a group of girls, find leaders, and launch a chapter of the Bat Mitzvah Club. Now 16, the experience continues in Julia’s life, shaping her identity and sense of self as a Jewish woman. After her bat mitzvah, Julia wanted to continue the Jewish experience and with Shemtov’s help, they established a local chapter of Friendship Circle. For the past four years, Julia and a friend have spent time every week during the school year with a boy who has special needs. “It has been a remarkable growth experience for her on many levels, including responsibility, planning, time management, the importance of giving to others, and the wonderful feeling that comes with doing the right thing,” Heifetz said. Julia is one of thousands of girls who’ve approached Jewish womanhood with the help of Bat Mitzvah Clubs International, a program designed for 11-13 year-old girls wanting to explore their identity, particularly as a bat mitzvah. Created 20 years ago by Esti Frimerman, a Brooklyn mother of a large family and a Hebrew school teacher, the program, said Frimerman, aims to reach Jewish girls in their formative years with a powerful message. In fact, according to a 2001 Jewish Adolescent Study by the Cohen Center for Modern Jewish Studies at Brandeis University, in which nearly 1,300 b’nei mitzvah from Reform, Conservative, Reconstructionist, and independent congregations were surveyed in Eastern Massachusetts, three-quarters of the respondents cared seriously about a search for meaning in life, but only 40 percent sought to find that meaning through their Jewisness. 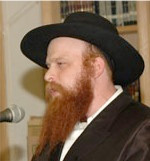 Involved in Jewish education for more than 25 years teaching 11-year-old religious school girls, Frimerman took a concept from Chabad Chasidic doctrine about a G-dly soul that becomes complete at the age of bar-bat mitzvah, and created a program at the flagship Chabad girls school, Beth Rivkah, in Brooklyn. She developed a curriculum on teachings about the integration of the spiritual and the physical, with a focus on Jewish feminine identity. Soon after, in 1993, she got a request from Tzivos Hashem International to rethink the program for non-religious, public school girls, and Bat Mitzvah Clubs International was born. “I felt like I could really relate to girls that age,” said Frimerman. A mother of five daughters, she knows “that turf very well,” and enjoys the challenge of reaching that demographic with eye-opening, enduring ideas. Stephanie Blitshtein, who went through Bat Mitzvah Club in Plano, Texas, in 2007, said that the experience of being part of the program changed her. “BMC impacted me Jewishly by teaching me what it meant to become bat mitzvah and the responsibilities that came along with that,” she said. The program, she said, also gave her Jewish knowledge in terms of practical mitzvot. After becoming a bat mitzvah, Blitshtein ramped up her observance and her involvement in the Jewish community. Rosenstrauch said her participation in the club brought her closer to her mother and her grandmother, and she now is as involved as ever in her campus Chabad and Hillel. One year, Metal arranged a mock wedding and invited the girls’ mothers as guests in an effort to strengthen the mother-daughter bond. “Many were dabbing their eyes as they held the poles of the chuppah (wedding canopy) and we sang the tune of Eishet Chayil as we walked the ‘bride’ around the ‘groom,’” she said. In Munich, Germany, Chanie Diskin saw the power of the program after teaching fifth, sixth, and seventh graders in the public school system and hearing how they celebrated their bat mitzvah. So Diskin brought the club to Germany, where she expanded it for teenagers because so many girls wanted to continue learning. “As a result, many girls have opted for a religious ceremony in the Orthodox tradition either on Friday evening with a candle-lighting ceremony or a havdalah ceremony,” she said. Today, there are nearly 300 active clubs around the world. Currently, Frimerman is working on translating the curriculums into five languages: Portuguese, Spanish, German, French, and Russian. She also is working on two new projects: one will allow girls to address everyday problems in their lives and the other will help them understand and get along with their parents better. At an age when children tend to become rebellious, the BMC is especially relevant. “Parents and children have more problems getting along than ever before,” says Frimerman, who works creatively, ever mindful of how the program can work to close the growing gap between mothers and daughters, and contribute to a more wholesome family dynamic. Bat Mitzvah Clubs International also is partnering with Chabad.org to create a dynamic virtual experience for club leaders, parents, and bat mitzvah girls. Frimerman hopes that the website will provide an interactive space where the girls can ask questions about religion, spirituality, school, parents, and more. Likewise, the program has been so successful at engaging young Jewish girls that many clubs around the world, like the one in Denmark, have extended the learning experience creating “teen clubs” for 13 through 16-year-old girls. “Today’s girls,” said Frimerman, “are exposed to an incredible amount of meaningless, even negative stimuli, and the messages targeting them encourage consumerism, materialism and and less than ideal role models,” all of whichhave a corrosive effect on them.